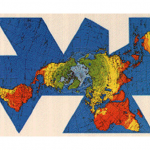 American engineer and architect Buckminster Fuller designed his Dymaxion map of the world in order to present a non-distorted world-view of continents, a problem with other forms of mapping. 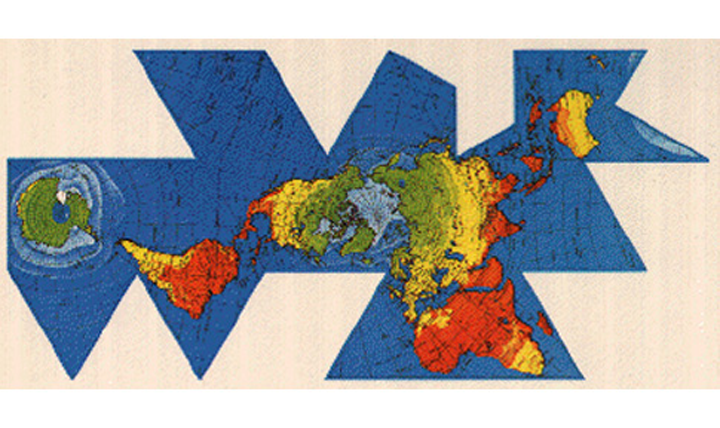 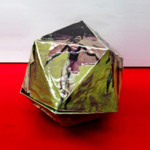 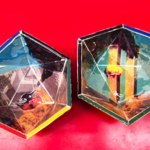 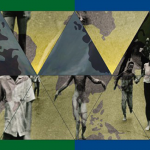 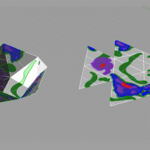 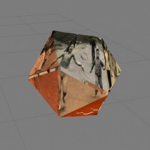 The Dymaxion map is meant to be a flat, two-dimensional representation of the globe that once folded and its triangular elements reconnected, becomes a 3-D globular form. 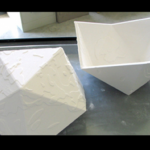 I decided to divide it in two and make a lidded container, with two similar objects at the level of form, while their respective surface remains distinct. 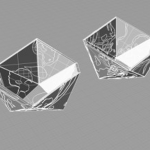 It seemed an appropriate concept to investigate the design and fabrication of a ceramic object of such intricacy and complexity that it could only be conceived and produced using digital technologies.